In the shadow of the Hoboken Police substation at Harrison and Third Street, Jessica Coco's car had its driver side window completely smashed early Sunday morning. Nothing was taken from the vehicle supporting Coco's belief she's being targeted for voicing skepticism to the unseen plan called Vision 20/20 backed by the HHA's contracted head, Carmelo Garcia. No Master Plan Vision 20/20 has been made public although calls have been made asking for the comprehensive details in the constant barrage of requests it be "approved" for a PILOT, a letter of need and ground broken on the first of more than a dozen buildings on the downtown HHA campus. Coco isn't the only HHA resident who's faced intimidation for not backing Vision 20/20, a project strewn with controversy since it was first introduced by Carmelo Garcia two years ago. Others have anonymously voiced they have been targeted for eviction and one local activist, Patricia Waiters said her tires were destroyed after group of HHA residents some call spokespeople for Carmelo Garcia, dubbed Carmelitos complained to her she wasn't defending him in front of the City Council last summer. 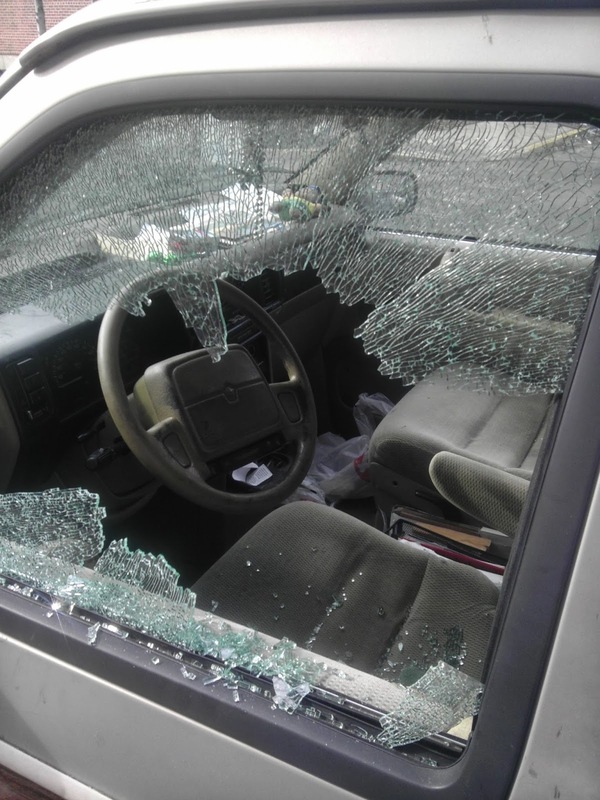 Last week, according to Coco, State Senator and Union City Mayor Brian Stack's office offered her assistance for the previous damages to her vehicle vandalized last summer. According to Coco, that offer was not public but she was approached with mention of the State Senator's offer of assistance by an HHA employee. She added she believes stories are being spread in the HHA from its administration that she is "taking up an apartment that a black family can move into" and that can't happen "until she can be forced out." As a result, Coco said she is once again in fear of her safety. In the face of overwhelming evidence, Carmelo Garcia has only voiced a blanket denial any criminal actions have occurred against Jessica Coco saying all of her allegations are false. Coco has filed and amended numerous complaints with the Hoboken Police Department. The only comment Garica has made about harassment, intimidation and bullying in the HHA is to claim he's a victim pointing to a lunch he secretly recorded of the mayor's husband Stan Grossbard and former State Senator Bernard Kenny in early January last year. Garcia's resulting "ethnic cleansing" lawsuit was thrown out of court last month but amended and refiled a week ago. Once again, Jessica Coco's vehicle is the target of vandalism. Nothing was removed from the unlocked vehicle. MSV has earlier confirmed part of the series of real world intimidation Coco has faced including death threats, harassment, repeated break-ins and burglary to her apartment with hijacking her of internet service last summer. All the events occurred when she became suspected of not supporting the controversial land deal Vision 20/20. Grafix Avenger filed a short account of this story asking the public to reach out to State Senator Stack on behalf of Jessica Coco. Talking Ed Note: Carmelo Garcia and HHA counsel Charles Daglian are invited to publicly comment. Related: Carmelo Garcia denies "ALL" criminal incidents against HHA resident Jessica Coco.